I honour my commitments to Satan. I live my life according to His decrees. I will not stray from what I have promised. The Ancient Serpent who always was. I raise the chalice in Satan's honour. I take part in His Will. I walk the path of Satan. No adversary can rip me from His grasp. I practice my Satanic religion every day. It is my first priority. I pray to Satan and spend time with Him. 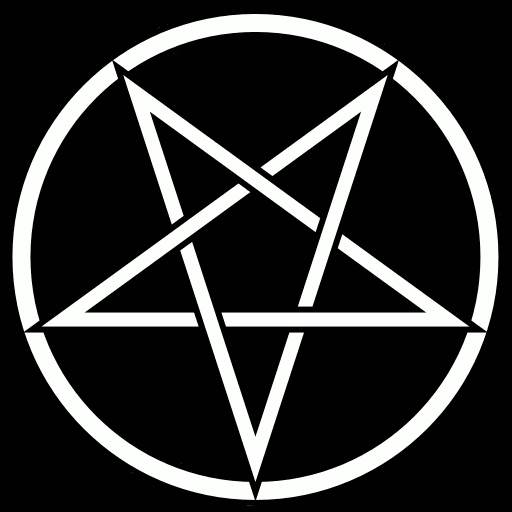 My pride is in being a Satanist. I declare myself openly as such. I will never hide my devotion to Him. No matter what it might cost me. I hold the Demons in the highest regard. They are my eternal teachers. They possess the mysteries of the ages. Belial teaches me the ways of the mundane. I will put them into practice. Eligos rips opens the walls I have constructed. and I spread my wings and fly. Phenex inspires me to write words of wisdom. 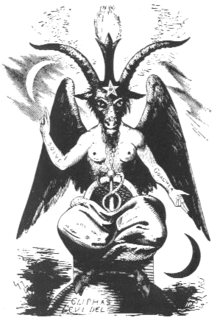 I will teach the ways of Satan. He advises me on the ways of vengeance and war. I am becoming the warrior I was meant to be. I can overcome anything that is put in my way. There is nothing that I cannot handle. I stand strong and persevere. I use my pain to make me stronger. and his amazing power and strength. For I am a warrior! I will leave behind that which is not good for me. I will deal with whatever I must. even though it feels like I can't. I am stronger than I realize. but I will rise and meet every challenge head on. In body, mind, and soul. No one has the right to take this away from me. I have broken the chains that once held me captive. No longer will I obey a law from above. I am not a slave, but a free person. Satan has destroyed the Tyrant's authority. I will be who I was meant to be. My country tries to tell me what to believe. Yet no one can force my soul to follow what is false. I will follow my own wisdom. I will make my Will manifest. I am free to choose my own path. I live by my own standards. I know what is right for me. I refuse to listen to people’s agenda for my life. I will not give my power to anyone. I won’t allow anything to hold me back. I will push them aside. It is time for me to ascend. I love myself enough to care for myself. I owe it to myself to live life to the fullest. I think of the majesty and beauty of Ashtoreth. She has shown me how to embrace every part of myself. I will achieve the impossible. People may say negative things about me. But I am the only one who defines who I am. No one knows me better than myself. I am manifesting my Will. I will never let go of what I have always desired. I am becoming who I was meant to be. I will achieve my goals. My dreams are becoming a reality. I will succeed in what I set out to do. It is good to make money. I am saving for the future. It does not matter if I am successful in the eyes of others. It only matters if I am successful in my own eyes. I am the only one who can determine my own success. I am moving forward each day to accomplish my goals. I will not allow anything to hold me back. My finances are important to me. I am keeping to my budget. I am doing what I can to be free of debt. I am managing my money well. It is important to my success. I am more than capable to do what needs to be done. I will not let being alone stop me. and I am responsible for making them a reality.